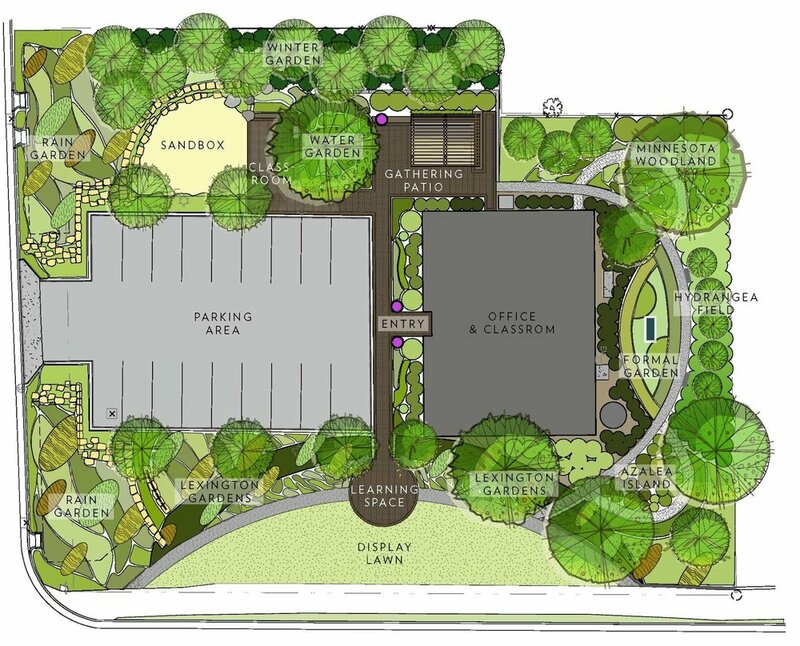 The Minnesota Nursery & Landscape Association is creating a new landscape at their headquarters in Roseville, MN. The landscape will be a destination and demonstration landscape to showcase the best work of its members and its commitment to the environment. It will serve as a setting for MNLA educational workshops, membership gatherings, and will be built by MNLA member companies. represent the great works that MNLA members create everday. It will be built to provide educational sessions, showcase new products, and explore new techniques to help green industry learn and improve. The site features a water-centric approach to landscape design. The site will be organized to act as a sponge for rainwater and a smart irrigation system reuses rainwater for the gardens. Generous donations from Minnesota vendors and grants from the Capital Region Watershed District and Ramsey Conservation District enabled us to create a highly performative landscape.